You can collect up to 45 loyalty points. Total 45 points that can be converted into a voucher of R 5. The Redding #5 Powder Trickler is the perfect tool for the reloader looking to quickly bring underweight charges up to an accurate reading. Simply turn the knob to add a granule or two of powder at a time. 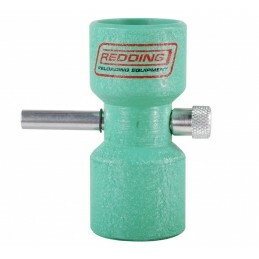 The Redding #5 Powder Trickler is designed to be the ideal height for most powder scales.